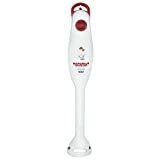 If mixing ingredients for a delicious dish seems to be tiresome, hand mixers can relieve you from this trouble. 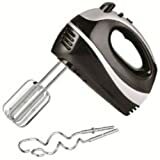 These are small handheld mixing appliances that are quite efficient and powerful to mix various ingredients perfectly. 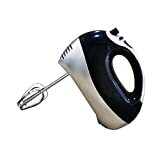 They come in two varieties – egg mixer and electric hand mixer. 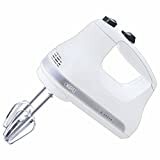 The main purpose of using a hand mixer is to mix, blend, whip and beat a variety of food. You can mix eggs, pancake batter, cakes, whipping cream, icing, salad dressing, etc. Whipping boiled potatoes is one of the most common and beneficial usages of hand mixers. Brands like Kitchenaid, Hamilton Beach, Philips, Orpat, Bajaj offer the best hand mixers in the market. Grab one today! Hi. I was looking to buy Bosch mfq3530 or mfq3540. Could you please review it. Can you advise the splatter less first speed hand mixers?